The City Vision is very clear about who we are and what we stand for. We love this place. Auckland is our home. It is where we work and play, raise our families, build our lives, and plan our futures. There is nowhere we would rather be. 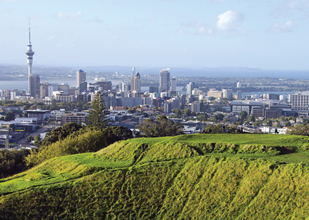 Auckland’s natural environment is unparalleled, our communities sparkle with diversity, and across the region communities are brimming with good ideas and plans for the future. We face challenges, but with the right leadership, Auckland can be the best place to live in the world. The challenges created by a growing city aren’t simple, but we are up to them. Affordable housing for all families, rapid transit to move around Auckland, and finding ways to protect our heritage and environment as we grow, are all questions that we can solve together, with focused leadership, and an engaged community. We recognise that Auckland is not a monolith. Our city is made up of many local communities, each with its own flavour, traditions, and aspirations. These communities are the beating heart of Auckland and need to be heard. We will fight to give our communities a voice. City Vision’s values are known and proven. We have always been the team who has stood up for social justice, for the Living Wage, for public transport, for environmental protection, for public ownership, and for local communities to have a real say. City Vision – the strong community voice. City Vision was formed in 1998 as a political grouping to work to protect and develop our city and communities. From the start, we have championed policies to grow Auckland into a liveable, healthy, economically and environmentally sustainable city for ourselves and our children. Since 1998 we have contested Local Government elections mainly in the old Auckland City Council areas of Western Bays, Eden-Albert and Roskill (now known as Waitematā, Albert-Eden and Puketapapa). Our candidates have a strong track record of service to ratepayers and Auckland’s communities.